ARDAGH Group has unveiled the new William Grant ‘Triplewood’ whisky bottle, which has been redesigned for a global relaunch of its whisky range. 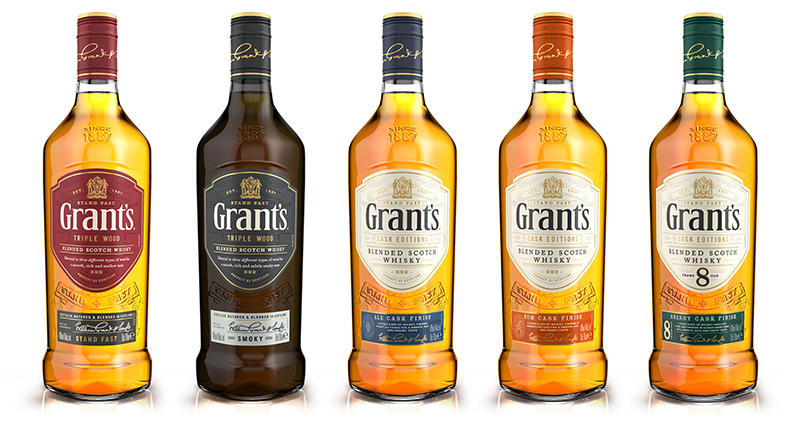 Ardagh collaborated with William Grant and design agency, Here Design, to develop what the firm described as a contemporary bottle with a more “modern, premium look and feel” for the brand’s five whiskies, which comprise of two triple wood editions and three cask ones. The triangle shape is more distinctive with its wider footprint and shorter bottle, while the ‘Stand Fast’ banner embossing on the front and family crest embossing on the back of the bottle have been sculpted to achieve more depth and detail.